U-139, originally designated "Project 46", was a class of large, long-range U-boats built during World War I by the Kaiserliche Marine. Type U 151 U-boats were a class of large, long-range submarines initially constructed during World War I to be merchant submarines and later used by the Kaiserliche Marine. The engine specifications as built were two BuEng-manufactured, MAN-designed direct-drive 6-cylinder 4-cycle main diesel engines, 1,400 hp (1,000 kW) each. A BuEng MAN 6-cylinder 4-cycle auxiliary diesel engine of 450 hp (340 kW), driving a Ridgway  300 kW (400 hp)  electrical generator,   was provided for charging batteries or for additional diesel-electric propulsion power. The Bureau of Steam Engineering was a bureau of the United States Navy, created by the act of 5 July 1862, receiving some of the duties of the former Bureau of Construction, Equipment and Repair. It became, by the Naval Appropriation Act of 4 June 1920, the Bureau of Engineering (BuEng). In 1940 it combined with the Bureau of Construction and Repair (BuC&R) and became the Bureau of Ships (BuShips). MAN SE, formerly MAN AG, is a German mechanical engineering company and parent company of the MAN Group. It is a subsidiary of automaker Volkswagen AG. MAN SE is based in Munich. Its primary output is for the automotive industry, particularly heavy trucks. Further activities include the production of diesel engines for various applications, like marine propulsion, and also turbomachinery. A cylinder is the central working part of a reciprocating engine or pump, the space in which a piston travels. Multiple cylinders are commonly arranged side by side in a bank, or engine block, which is typically cast from aluminum or cast iron before receiving precision machine work. Cylinders may be sleeved or sleeveless. A sleeveless engine may also be referred to as a "parent-bore engine". Sonar is a technique that uses sound propagation to navigate, communicate with or detect objects on or under the surface of the water, such as other vessels. Two types of technology share the name "sonar": passive sonar is essentially listening for the sound made by vessels; active sonar is emitting pulses of sounds and listening for echoes. Sonar may be used as a means of acoustic location and of measurement of the echo characteristics of "targets" in the water. Acoustic location in air was used before the introduction of radar. Sonar may also be used in air for robot navigation, and SODAR is used for atmospheric investigations. The term sonar is also used for the equipment used to generate and receive the sound. The acoustic frequencies used in sonar systems vary from very low (infrasonic) to extremely high (ultrasonic). The study of underwater sound is known as underwater acoustics or hydroacoustics. Argonaut returned to action in the South Pacific in August. Admiral Chester W. Nimitz assigned Argonaut and Nautilus to transport and land Marine Raiders on Makin Island in the Gilbert Islands for the Makin Raid. This move was designed to relieve pressure on American forces that had just landed on Guadalcanal. On 8 August, the two submarines embarked 120  troops of Companies A and B, 2nd Raider Battalion, and got underway for Makin. Conditions during the transit were unpleasant, and most of the marines became seasick. The convoy arrived off Makin on 16 August, and at 03:30 the next day the Marines began landing. Their rubber rafts were swamped by the sea and most of the outboard motors drowned. The Japanese—either forewarned or extraordinarily alert—were ready for the Americans' arrival. Snipers were hidden in the trees, and the landing beaches were in front of the Japanese forces instead of behind them as planned. However, by midnight of 18 August, the Japanese garrison of about 85 men was wiped out; radio stations, fuel, and other supplies and installations were destroyed, and all but 30 of the troops had been recovered. Argonaut arrived back in Pearl Harbor on 26 August. Her hull classification symbol was changed from SM-1 to APS-1 (transport submarine) on 22 September. She was never formally designated SS-166, but that hull number was reserved for her and a photo shows she occasionally displayed it. Her base of operations was transferred to Brisbane, Queensland, later in the year. In December, she departed Brisbane under Lieutenant Commander John R. Pierce to patrol the hazardous area between New Britain and Bougainville Island, south of Bismarck Archipelago. On 2 January 1943, Argonaut sank the Japanese gunboat Ebon Maru in the Bismarck Sea. On 10 January, Argonaut spotted a convoy of five freighters and their escorting destroyers—Maikaze, Isokaze, and Hamakaze—returning to Rabaul from Lae. By chance, an army aircraft—which was out of bombs—was flying overhead and witnessed Argonaut′s attack. A crewman on board the plane saw one destroyer hit by a torpedo, and the destroyers promptly counterattacking. Argonaut′s bow suddenly broke the water at an unusual angle. It was apparent that a depth charge had severely damaged the submarine. The destroyers continued circling Argonaut, pumping shells into her; she slipped below the waves and was never heard from again. 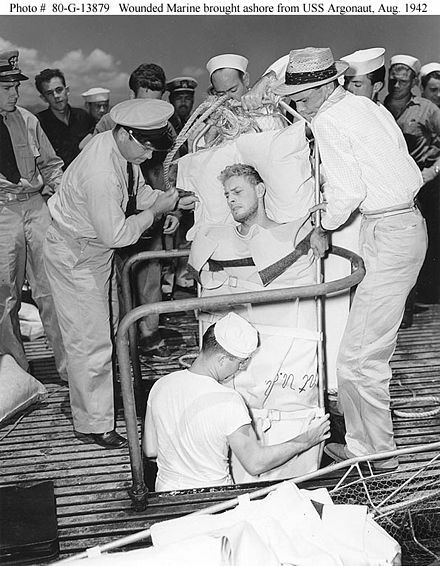 One hundred and two officers and men went down with her, the worst loss of life for an American submarine in wartime. Her name was stricken from the Naval Vessel Register on 26 February. 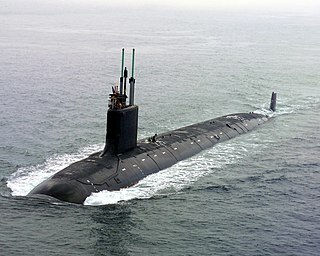 USS Dolphin (SF-10/SC-3/SS-169), a submarine and one of the "V-boats", was the sixth ship of the United States Navy to be named for that aquatic mammal. She also bore the name V-7 and the classifications SF-10 and SC-3 prior to her commissioning. She was launched on 6 March 1932 by the Portsmouth Navy Yard, sponsored by Mrs. E.D. Toland, and commissioned on 1 June 1932 with Lieutenant John B. Griggs, Jr. in command. USS Skate (SS-305) was a United States Navy Balao-class submarine named for the skate, a type of ray. USS Barracuda (SF-4/SS-163), lead ship of her class and first of the "V-boats," was the second ship of the United States Navy to be named for the barracuda. Her keel was laid down at Portsmouth Navy Yard. She was launched as V-1 (SF-4) on 17 July 1924, sponsored by Mrs. Cornelia Wolcott Snyder, wife of Captain Snyder, and commissioned on 1 October 1924 with Lieutenant Commander S. Picking in command. V-1 and her sisters V-2 (Bass) and V-3 (Bonita) were the only class of the nine "V-boats" designed to meet the fleet submarine requirement of 21 knots (39 km/h) surface speed for operating with contemporary battleships. USS Triton (SS-201), a Tambor-class submarine, was the first submarine and third ship of the United States Navy to be named for Triton,a mythological Greek god, the messenger of the sea. Her keel was down on 5 July 1939 by the Portsmouth Navy Yard. She was launched on 25 March 1940 sponsored by Mrs. Martha E. King, wife of Rear Admiral Ernest J. King, and commissioned on 15 August 1940 with Lieutenant Commander Willis A. "Pilly" Lent in command. USS Nautilus (SF-9/SS-168), a Narwhal-class submarine and one of the "V-boats", was the third ship of the United States Navy to bear the name. She was originally named and designated V-6 (SF-9), but was redesignated and given hull classification symbol SC-2 on 11 February 1925. Her keel was laid on 10 May 1927 by the Mare Island Naval Shipyard of Vallejo, California. She was launched on 15 March 1930 sponsored by Miss Joan Keesling, and commissioned on 1 July 1930 with Lieutenant Commander Thomas J. Doyle Jr. in command. USS Shark (SS-174) was a Porpoise-class submarine, the fifth ship of the United States Navy to be named for the shark. Her keel was laid down by the Electric Boat Company in Groton, Connecticut, on 24 October 1933. She was launched on 21 May 1935, and commissioned on 25 January 1936, Lieutenant C.J. Carter in command. USS Pompano (SS-181), a United States Porpoise-class submarine, was the second ship of the United States Navy to be named for the pompano. USS Bass (SF-5/SS-164), a Barracuda-class submarine and one of the "V-boats", was the first ship of the United States Navy to be named for the bass. Her keel was laid at the Portsmouth Navy Yard. She was launched as V-2 (SF-5) on 27 December 1924 sponsored by Mrs. Douglas E. Dismukes, wife of Captain Dismukes, and commissioned on 26 September 1925, Lieutenant Commander G.A. Rood in command. Like her sisters, Bass was designed to meet the fleet submarine requirement of 21 knots (39 km/h) surface speed for operating with contemporary battleships. 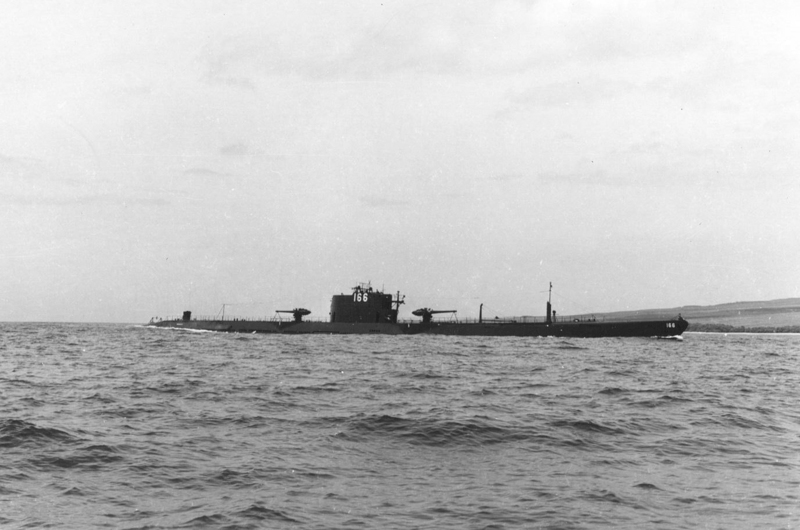 USS Cachalot (SC-4/SS-170), the lead ship of her class and one of the "V-boats", was the only ship of the United States Navy to be named for the sperm whale. Her keel was laid down by the Portsmouth Navy Yard. She was launched on 19 October 1933 as V-8 (SC-4) sponsored by Miss K. D. Kempff, and commissioned on 1 December 1933 with Lieutenant Commander Merril Comstock in command. Cachalot was the first submarine to have the Torpedo Data Computer, Arma Corporation's Mark 1, installed. USS Silversides (SS/AGSS-236) is a Gato-class submarine, the first ship of the United States Navy to be named for the silversides. The Mahan-class destroyers of the United States Navy were a series of 18 destroyers of which the first 16 were laid down in 1934. The last two of the 18, Dunlap and Fanning, are sometimes considered a separate ship class. All 18 were commissioned in 1936 and 1937. Mahan was the lead ship, named for Rear Admiral Alfred Thayer Mahan, an influential historian and theorist on sea power. Minelaying is the act of deploying explosive mines. Historically this has been carried out by ships, submarines and aircraft. Additionally, since World War I the term minelayer refers specifically to a naval ship used for deploying naval mines. "Mine planting" was the term for installing controlled mines at predetermined positions in connection with coastal fortifications or harbor approaches that would be detonated by shore control when a ship was fixed as being within the mine's effective range. USS Cutlass (SS-478), a Tench-class submarine, was the only ship of the United States Navy to be named for the cutlassfish, a long, thin fish found widely along the coasts of the United States and in the West Indies. Her keel was laid down by the Portsmouth Navy Yard on 10 July 1944. She was launched on 5 November 1944 sponsored by Mrs. R. E. Kintner, and commissioned on 17 March 1945 with Commander Herbert L. Jukes in command. USS Shad (SS-235), a Gato-class submarine, was the first submarine and second vessel of the United States Navy to be named for the shad, a fish of the herring family, common along coasts of the United States. USS Sicard (DD-346/DM-21/AG-100) was a Clemson-class destroyer in the United States Navy following World War I. She was named for Montgomery Sicard. 1 2 3 4 Friedman, Norman (1995). U.S. Submarines Through 1945: An Illustrated Design History. Annapolis, Maryland: United States Naval Institute. pp. 285–304. ISBN 1-55750-263-3. 1 2 3 4 5 Bauer, K. Jack; Roberts, Stephen S. (1991). 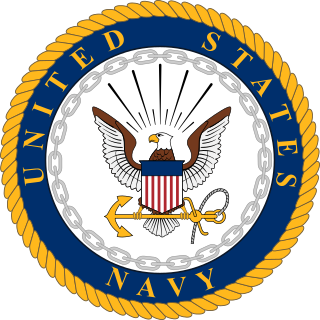 Register of Ships of the U.S. Navy, 1775–1990: Major Combatants. Westport, Connecticut: Greenwood Press. pp. 266–267. ISBN 0-313-26202-0. ↑ Alden, John D., Commander, USN (retired). The Fleet Submarine in the U.S. Navy (Annapolis, MD: Naval Institute Press, 1979), p.211. ↑ Lenon, H. T. American Submarines (New York: Doubleday, 1973), p.31. 1 2 3 4 Alden, p.211. ↑ Alden, p.28; Lenton, p.31, says 696 tons. 1 2 3 4 5 6 7 8 9 10 11 12 13 14 15 16 17 18 19 20 21 Alden, p.28. ↑ Photo of Argonaut at NavSource.org with "166" on the conning tower. 1 2 3 4 5 6 7 8 Alden, p.29. ↑ Blair, Clay, Jr. Silent Victory (Philadelphia: Lippincott, 1975). 1 2 O'Kane, Richard H. (1996). "Not 'Just Practice'". Naval History. United States Naval Institute. 10 (6): 21–23. ↑ "PigBoats.COM - V-Class Submarines Page 2 Argonaut V-4". pigboats.com. Retrieved 15 April 2019. ↑ "NavSource.org USS Argonaut (SM-1) WW2 photos" . Retrieved 15 April 2019. ↑ "The Official Chronology of the U.S. Navy in World War II--1943". www.ibiblio.org. Retrieved 15 April 2019. ↑ "On Eternal Patrol - USS Argonaut (APS-1), (SS-166)". On Eternal Patrol. Retrieved 18 November 2014. ↑ "Long Lancers". www.combinedfleet.com. Retrieved 15 April 2019. This article incorporates text from the public domain Dictionary of American Naval Fighting Ships .The entry can be found here. Wikimedia Commons has media related to USS Argonaut (SS-166) .